Sass! – The Sweet and Savory Sisters! The Sweet and Savory Sisters! At Sass!, it is both our duty and great pleasure to make you feel at home, from the atmosphere, to the food, to the way we’ll always treat you like family. We promise to provide exceptional service and the fresh, down-home cookin’ that is synonymous with Sass! With dishes like Shrimp & Grits, Jambalaya, Sweet Tea Brined Fried Chicken and much, much more, there is something for everybody with Sass! catering! We are proud to offer two large rooms for your event of any kind! From a surprise birthday party, to a good ol’ fashioned get together, we’ve got you covered, literally!! The biggest of our rooms is called the Beauchamp Room, pronounced “beachum”. It has plenty of space for your larger parties. The smaller of the two rooms is called the Dupuy Room, pronounced “dewpwee”. It has enough room for your medium to small parties. Plus, it has a nice bar for your beer or wine. 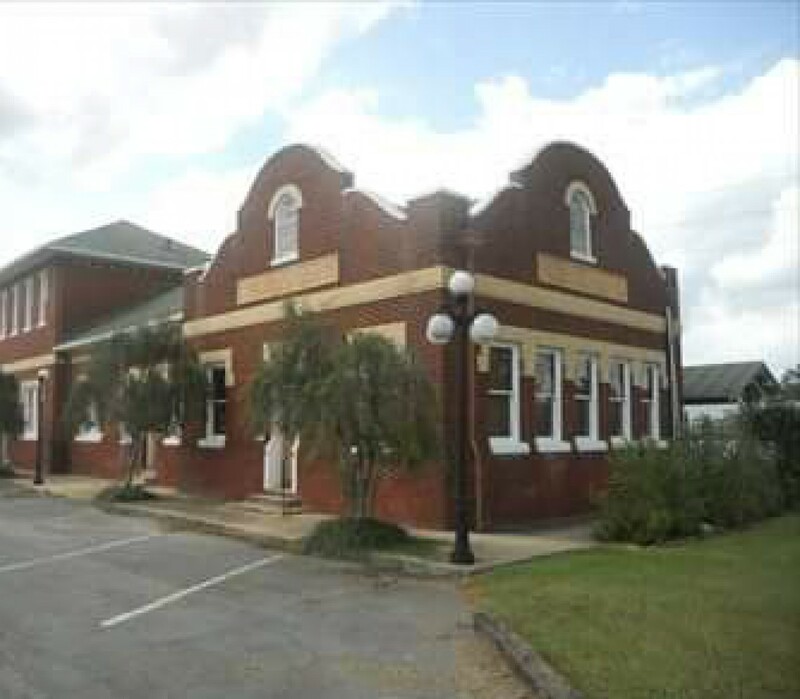 Sass has a large covered patio area that is great for weddings, live music and dancing. 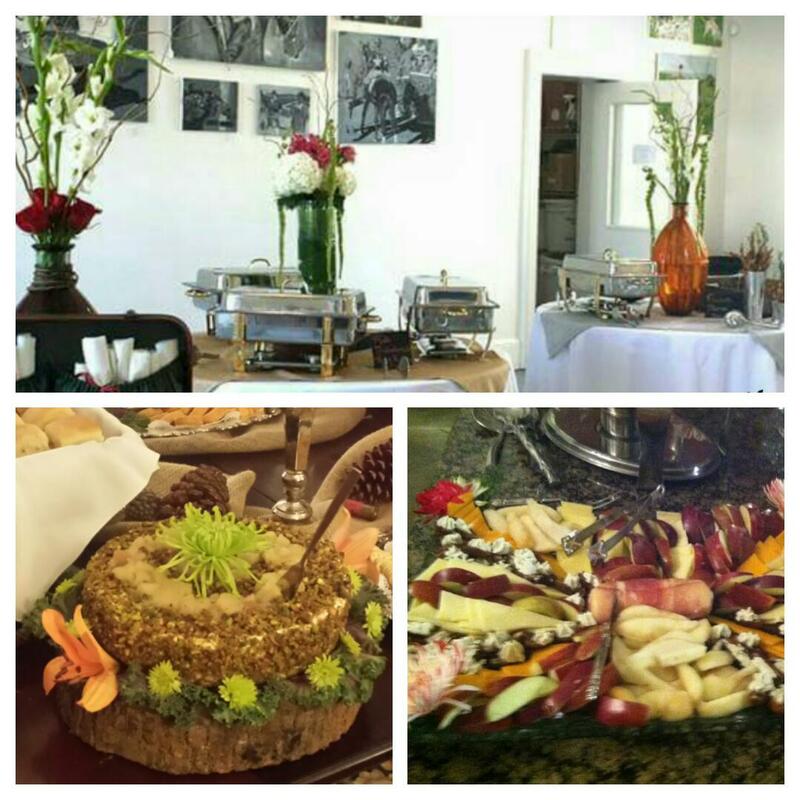 We also offer pick up and delivery service if full service catering is not needed. Call and talk to us today to book your next event here at Sass! 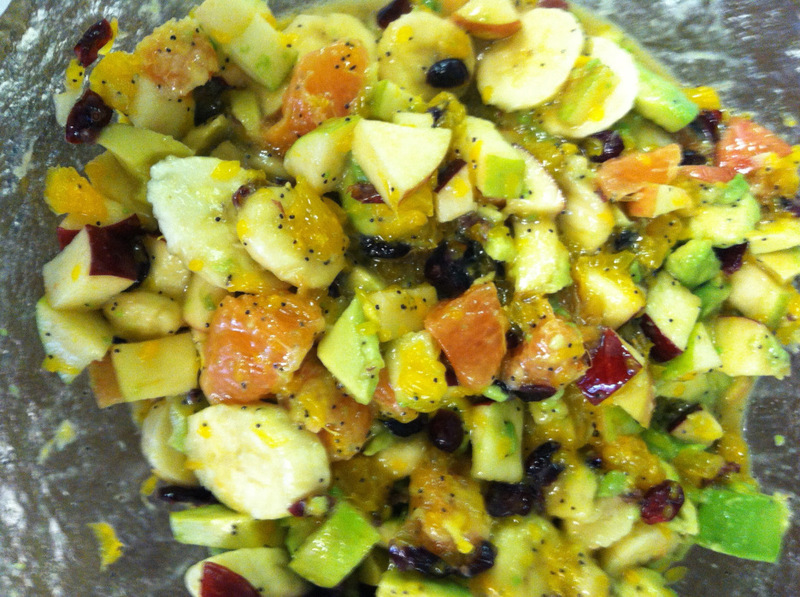 This fruit salad is so delicious and is so easy to make. It is very versatile and is so tasty. The avocado make this salad so creamy and delicious. Combine the fruit, raisins, and nuts in a glass bowl. Combine ingredients for dressing. Add the dressing and stir gently right before serving. 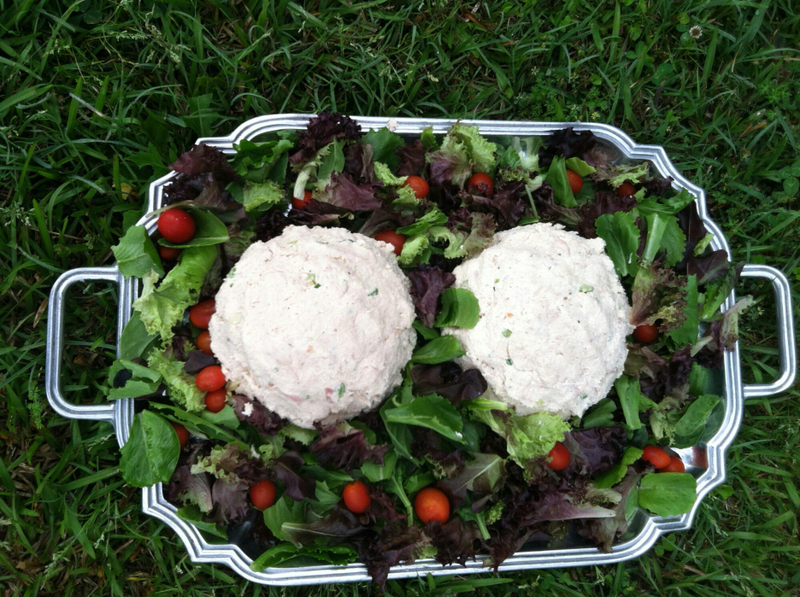 Serve on a bed of salad greens. Garnish with additional pecans and fresh mint leaves. We love this recipe because it is so easy, no cooking involved and it is get in my belly good! Clean chicken off of the bone and put into large bowl. Get in there with your clean hands and break the chicken up. Add celery and spring onions to chicken. In a separate bowl, combine mayonnaise, cream cheese, lemon juice and drippings. Add mayo mixture to chicken and mix using hands. Season with celery salt. Serve on a bed of salad greens with sandwich rolls or any way you want to. We are going to get off the beaten path for this one folks. We have a passion for grits and nowadays you can find all kinds of different recipes for grits. This recipe is nowhere near your ordinary Grits recipe, it’s sacred. One bite of this delicious creamy recipe and you will feel somewhat holy! You will most likely want to take this dish to your next soiree and give your pals something to talk about. They can talk all about your lovely grits casserole instead of who is doing who! Alright now let’s get this show on the road and make us some magic. First, toss your corn in the microwave and nuke for 7 minutes. Remove kernels from cob and set to the side. Next, preheat your oven to 400 degrees. Now get you a little bowl out and throw those cherry tomatoes in there that you already sliced in half, because that’s what we told you to do at the beginning. Now toss those jewels with some salt and pepper and a little olive oil. You want just enough oil to coat them, not bathe them. Now you are going to arrange the tomatoes cut side up on a sheet pan. You may want to line your cookie sheet with some aluminum foil, this makes for easy clean up. Cook for about 30-45 minutes or until they are soft, shriveling and turning brown. At this time, prepare to get sanctified! You are going to concoct the best of the best mouthwatering grits. Bring your heavy cream and chicken broth to a gentle boil in a heavy sauce pan. Next, you will slowly add your grits and salt while whisking constantly. Turn your heat down to medium low. You will need to whisk your grits at first, making sure that they are not sticking to the bottom or to each other. Put a lid on the pot and cook until they are thick and creamy, for about 10-15 minutes or until desired consistency is reached. Make sure to stir throughout the cooking process. You can add you a little water, broth or milk if they get too thick. Season kindly with salt and pepper. Next, add your butter, you may add more if you are feeling frisky. Now comes the goodness, stir in that good ole corn, cream cheese and white cheddar cheese. Pour these babies into a greased casserole dish and top this stunning success with the roasted tomatoes. 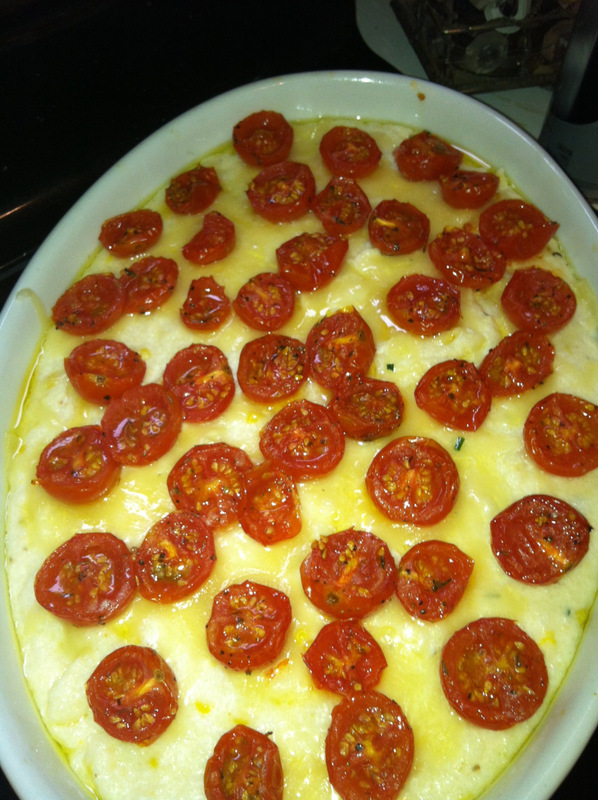 Drizzle with a little olive oil and place it in the oven and cook for about 25 minutes. Enjoy! This is an “old trusty”. We made it, we liked it and we are going to make it again. This would have to be one of our all-time favorite recipes. We have been making this forever and people always love it. The sauce is unbelievably good. With that being said, make sure you serve plenty of French bread for sopping up the spicy buttery goodness. Alright people, this is so simple to make. Get that oven going and heated to 400°F. Stir together the first 6 ingredients. 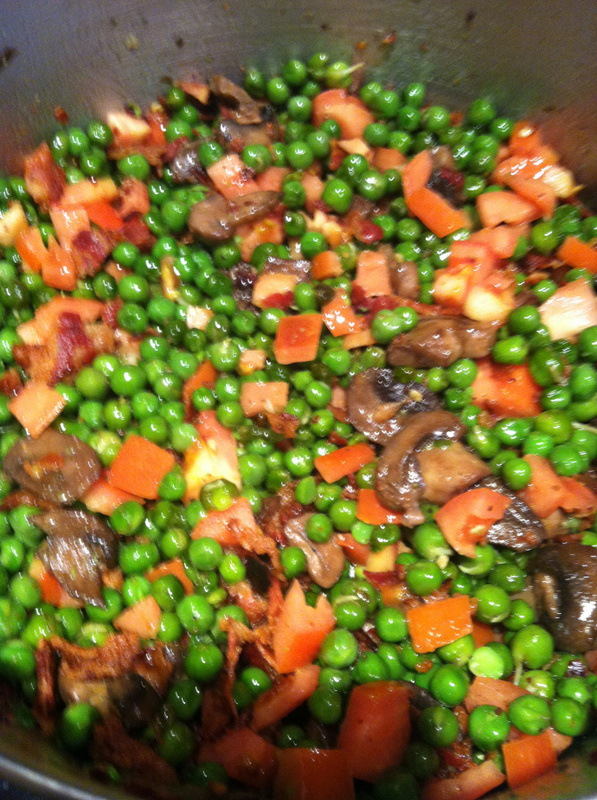 Pour the mixture into a large casserole dish or an iron skillet. 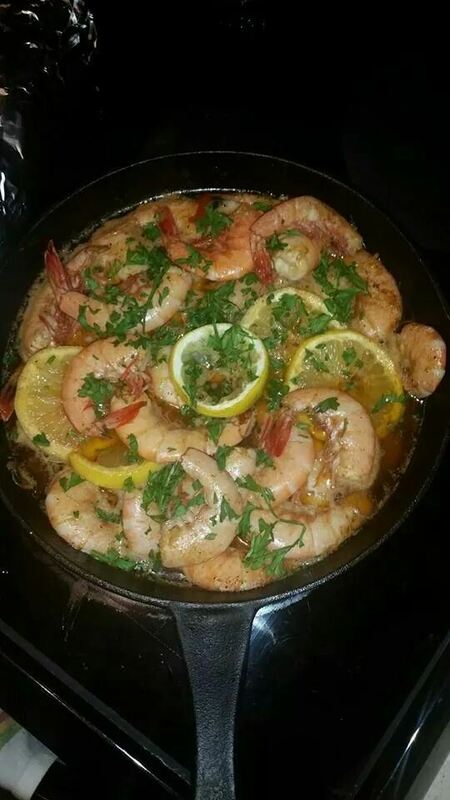 Add your shrimp and top with lemon slices. You are going to want to bake uncovered for about 20 minutes, stirring mixture twice, until shrimp are pink. This is important- after the first 10 minutes check the shrimp several times. As soon as they start turning pink, take them out of the oven. They will continue cooking. You don’t want overcooked shrimp. Add parsley and enjoy! This chicken is so easy and out of this world. It is great served over wild rice, on top of a salad or in a sandwich. Season chicken with salt and pepper and set to the side. Dump all ingredients for the sauce into freezer bag and then add chicken. Seal bag, turn the bag over several times to make sure chicken is coated with sauce and allow to marinate overnight. While your oven is heating to 350 degrees, place chicken in a sprayed baking dish and pour sauce over chicken. Bake for 30 minutes or until chicken is cooked throughout. Place chicken on top of wild rice and spoon sauce over chicken. We like to serve ours with asparagus spears and garlic toast. 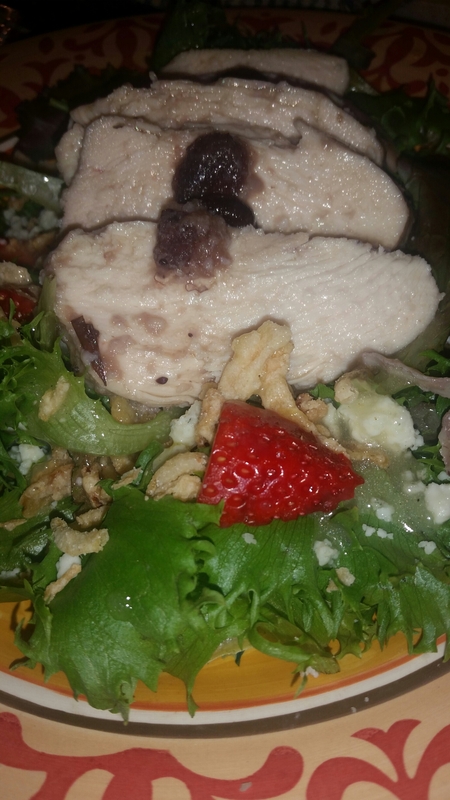 For a wonderful salad- Place salad greens on plate, garnish with strawberries, french fried onions and blue cheese crumbles. Toss with your favorite dressing. * Crockpot instructions- spray inside of Crockpot, pour defrosted chicken and sauce into pot and cook on low for about 4 hours. Slap Ya Mama Boil Peanuts!